Discotheque remains the most popular option for men over 50. Taking its name from the acronym Amigos Bailam Comigo (Friends Dance with Me), ABC Bailão is the place where all of your friends are welcome. No attitude, and no discrimination. 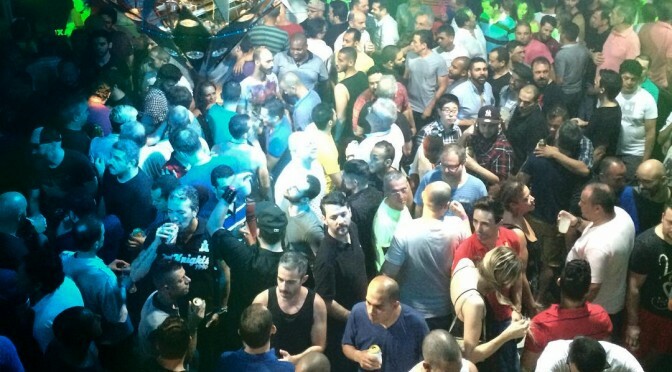 The historic São Paulo nightclub, which recently celebrated its 19th anniversary is very popular with maduros (mature men over the age of 50.) The Bailão, as it’s known, even offers offers a senior discount on their cover charge. Over the years, the club has become more popular outside of the older crowd as ordinary groups of friends just want to go out and have fun. Musically, the club sticks to a formula of disco era hits and popular Brazilian dance music. The DJ may transition from ABBA’s Dancing Queen to a forró classic from the Brazilian countryside that makes everyone sing along. ABC Bailão is quite large with many spaces to dance, drink, and cruise. The older crowd attracts many caçadores (chasers) but fortunately, the club is mostly successful at weeding out hustlers.